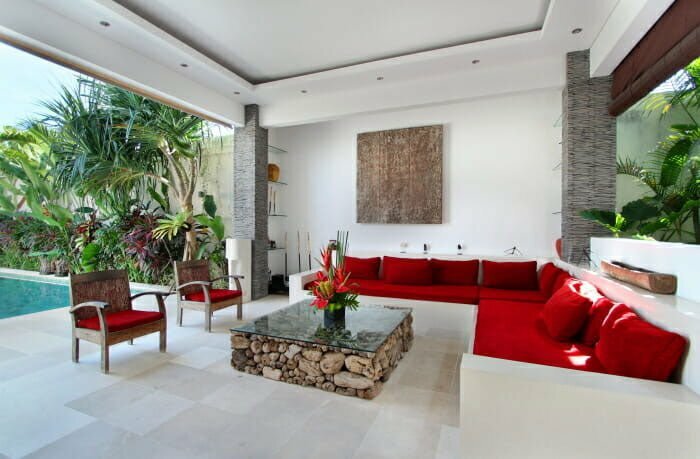 Guests seeking to experience a homely villa accommodation while exploring Bali will be spoilt with choices, but at Kenari Villa Complex, everything is over and beyond your expectation. 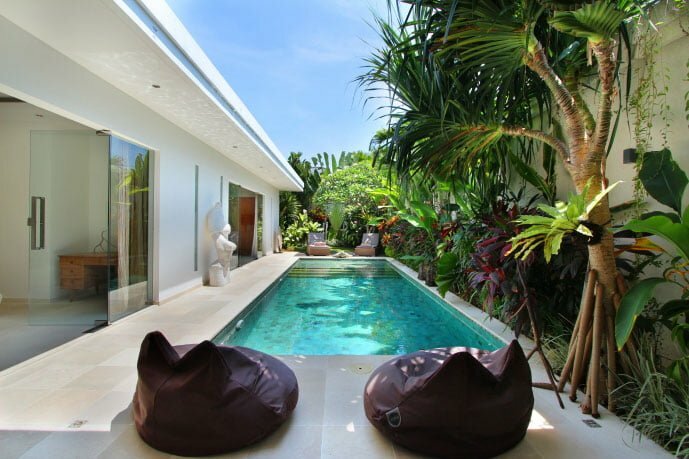 We are located in the trendy and fashionable Seminyak area and close to the popular Oberoi Street –a spot featuring great restaurants, boutiques, and bars. 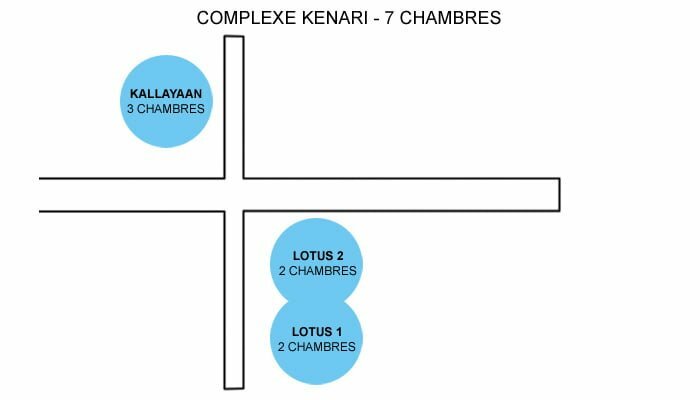 Our complex is made up of two villas; the Lotus and Kallayaan. 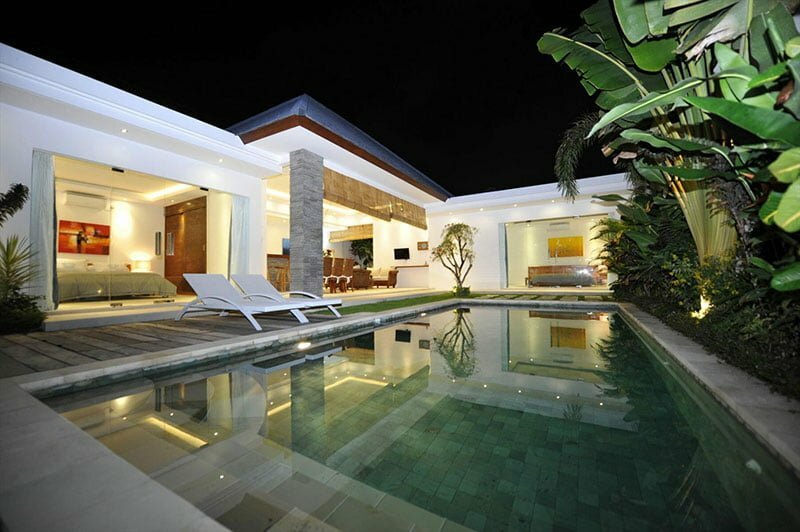 Villas in our facility are a superb mix of exotic and modern architecture to bring a rustic feeling. 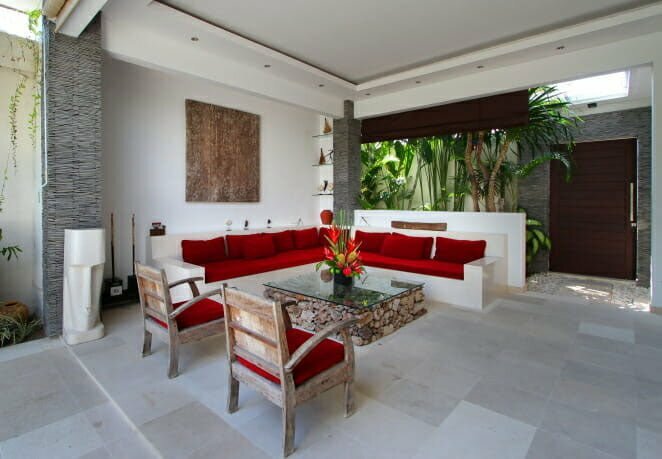 We are trying to bring a homely feel as much as possible and the outdoor area advances this theme. The very thing you will see when you set your feet at the complex is a well-kept lawn grass. 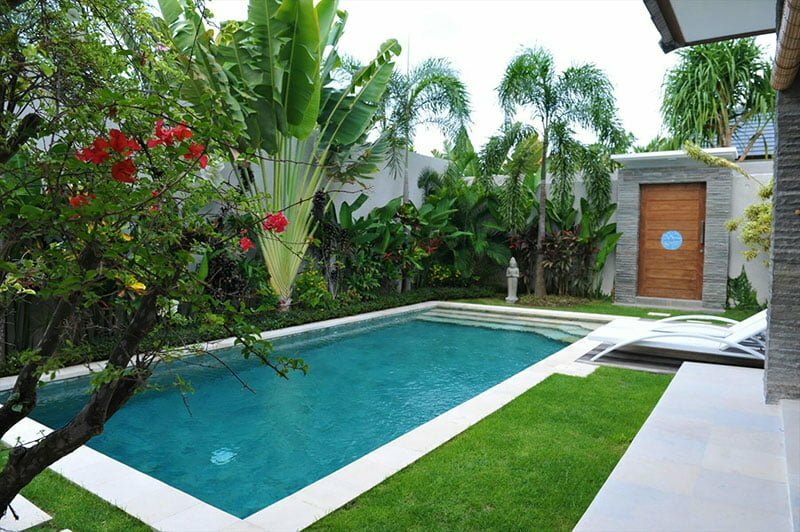 Tall palm and frangipani trees surround the wall of the villa to ensure maximum guest privacy. 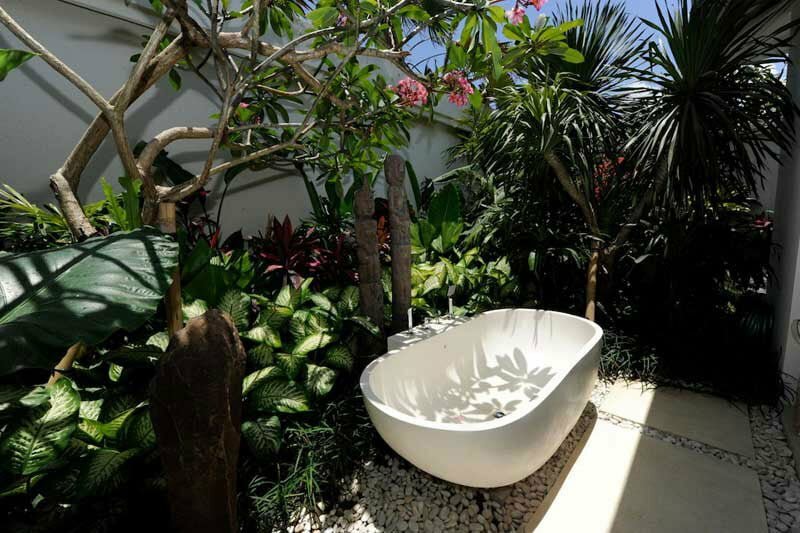 We know while at home, you love spending time in your Jacuzzi, but here you spent your lazy afternoon swimming in our pool area. Our massive pool invites you to experience the dip of clear blue-sky waters and after long hours in the pool, you can sunbathe in the comfy sunbeds. We also have umbrella shade and gazebo so guests can chill out reading their favorite books, enjoy a cocktail, or keep an eye on their kids as their play in the pool. 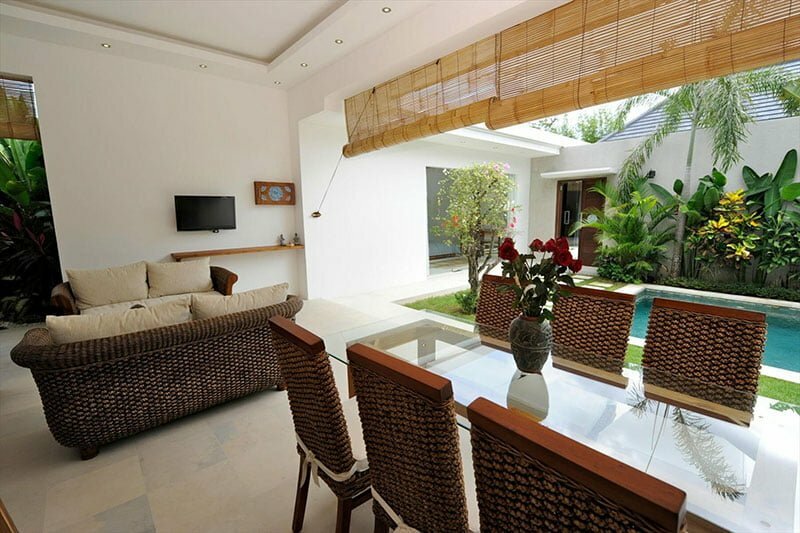 Villa Kallayaan is accessed by the living room and it opens to the complex pool and the tropical garden. 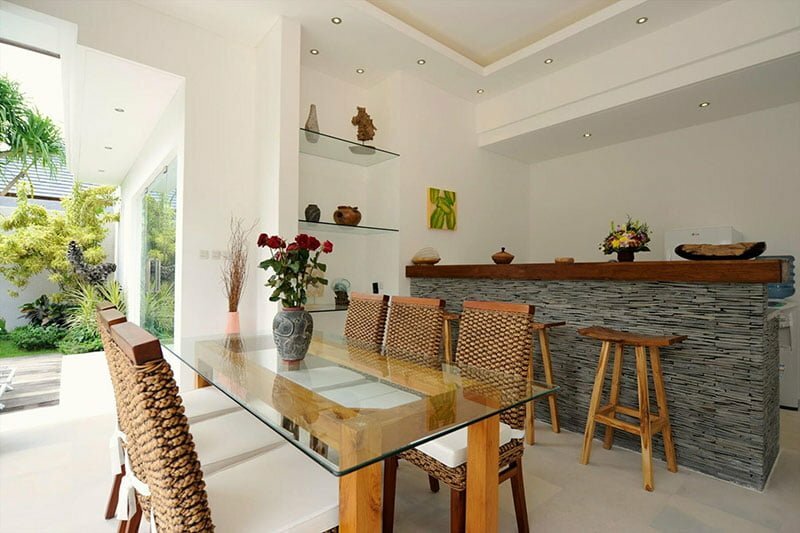 Besides the living room, this villa also has a fully equipped modern kitchen and a small dining room. 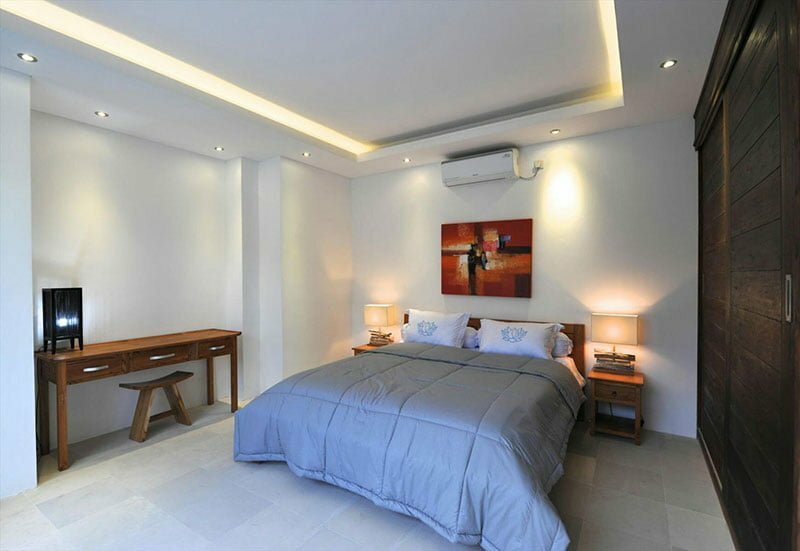 Two of the villa’s rooms are spacious while the other one, often referred to as the guestroom, is smaller. 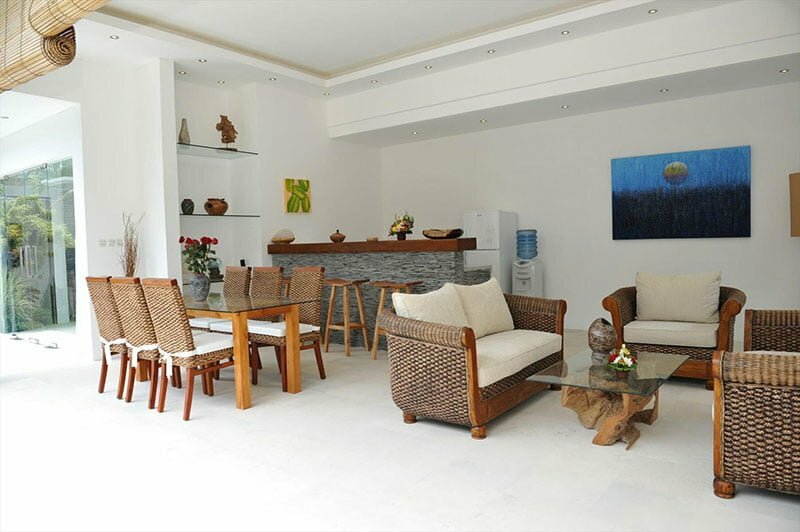 They all air-conditioned and furnished with a flat-screen television, DVD player, and free Wi-Fi internet. 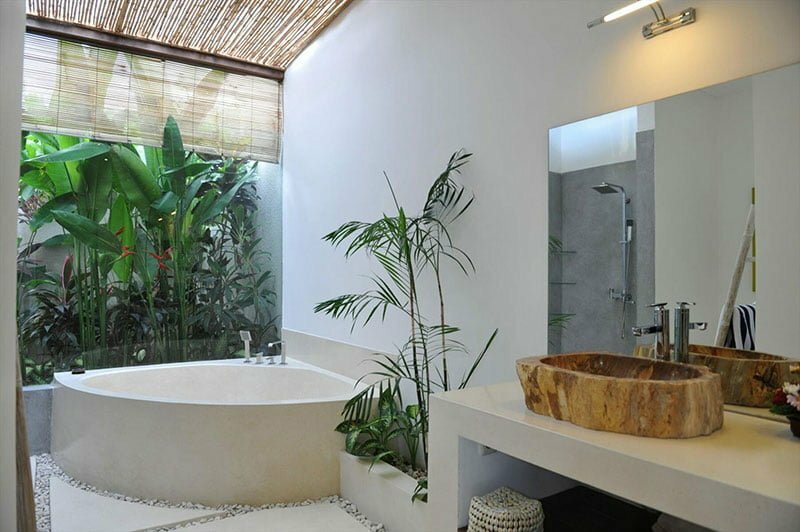 The master suites have en-suite bathrooms and elegant bathtub lined up native and exotic plants. The other room, however, has a double bed as well as cable TV and free Wi-Fi. 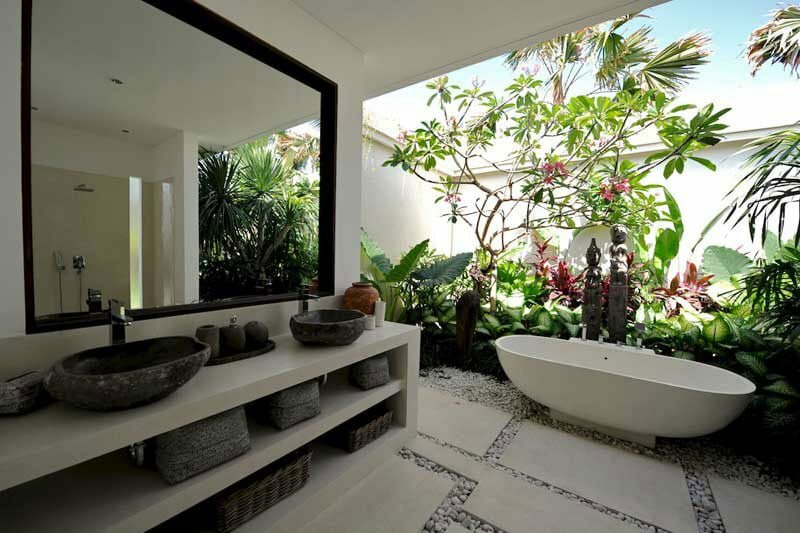 Both bedrooms give guests the tranquility and peace of mind so you can appreciate fully the Balinese charms. 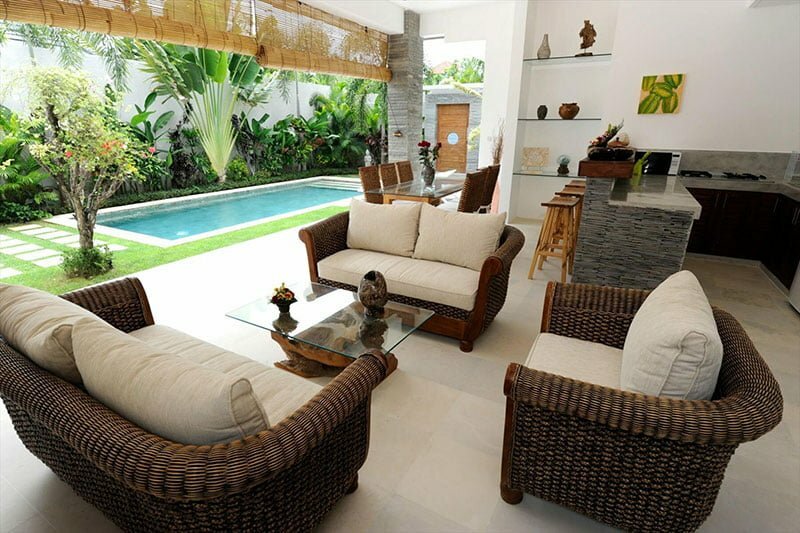 Villa Lotus has four bedrooms, two of which face each other on either side of the complex’s lounge. 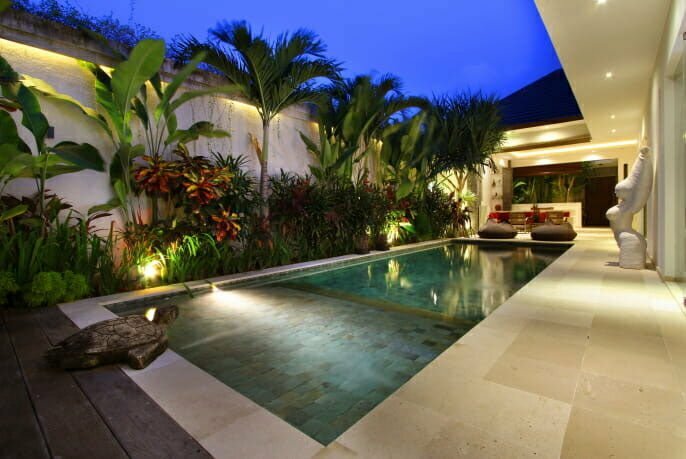 Each bedroom, however, overlooks the garden and the pool area. 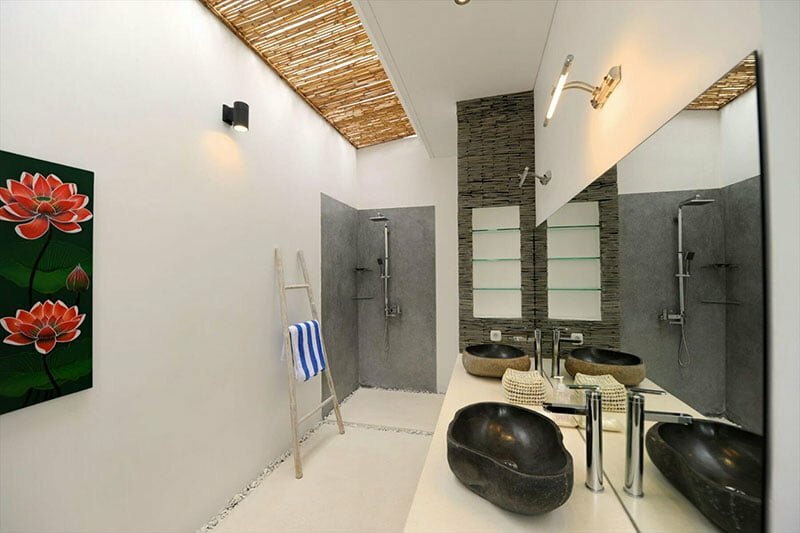 These bedrooms have a private bathroom fitted with a spacious bathtub as well as free toiletries. They also have canopy king-size beds with comfortable mattresses and pillows so guests can enjoy and relax the delights offered by the Islands of God. 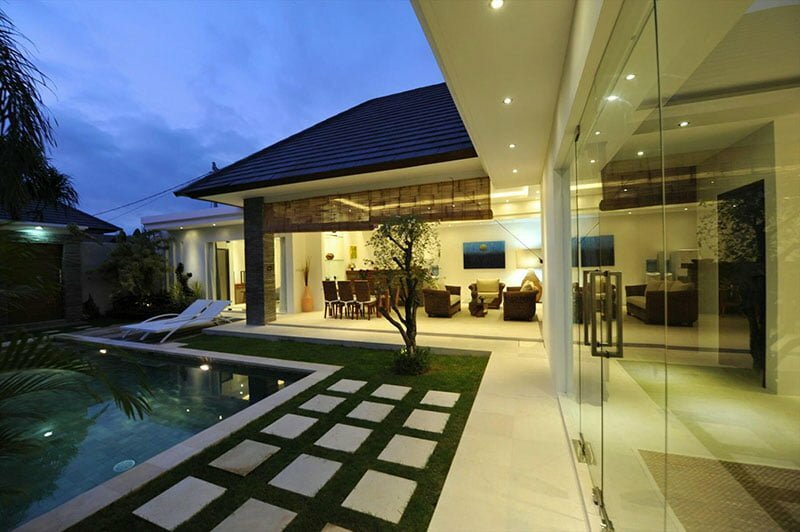 We strive to offer unprecedented services so guests can have a memorable holiday accommodation. We have managed to unveil five-star services thanks to dedicated staff members. Among others, we have villa managers, housekeeper, daily maid, and security guard. 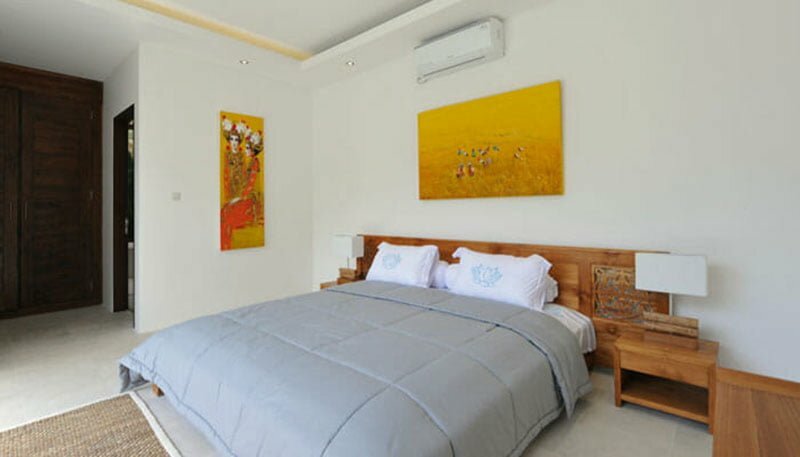 Some of the services offered at Kenari Villa Complex include babysitting, housekeeping, airport transfers, day tour, spa/massage, food delivery, laundry/pressing, and car/motorbike rental. Any other service not highlighted here is provided upon request.